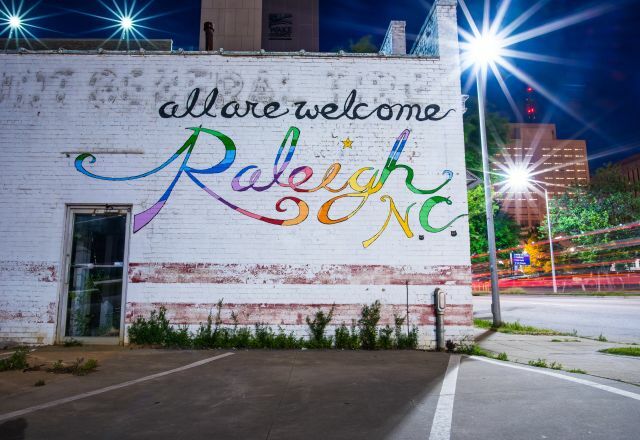 All Are Welcome Here | Raleigh, N.C.
A visit to Raleigh, N.C., is more than a trip to a blossoming Southern metropolis. Raleigh&apos;s smart, savvy and welcoming locals are the lifeblood of our city. One million residents—from different backgrounds, with different beliefs and of different abilities—are shaping the growth of our emerging creative businesses, energizing festivals and food establishments, passionate music and sports scenes and modern cultural experiences. For the traveler, discovery in Raleigh will always be unique and authentic. Talented artists, athletes, creative-class innovators, politicians, business and tech workers, students and educators have made Raleigh a special place to visit—a thinking person&apos;s destination where the free and open exchange of ideas is cherished. This is where people from all walks of life, backgrounds and futures come together to share enriching experiences. We wouldn&apos;t have it any other way because all are welcome here. As so many of our passionate residents have reiterated recently, Raleigh will always be open to everyone, and we hope you&apos;ll make the choice to visit and experience our rich history and modern establishment, filled with authenticity that&apos;s homegrown, rooted in Raleigh. The hospitality community in Raleigh extends a welcome to all visitors with open hearts, the desire to meet your needs and help you discover your own Raleigh story.